Rep. Claude Pepper talks with Drs. 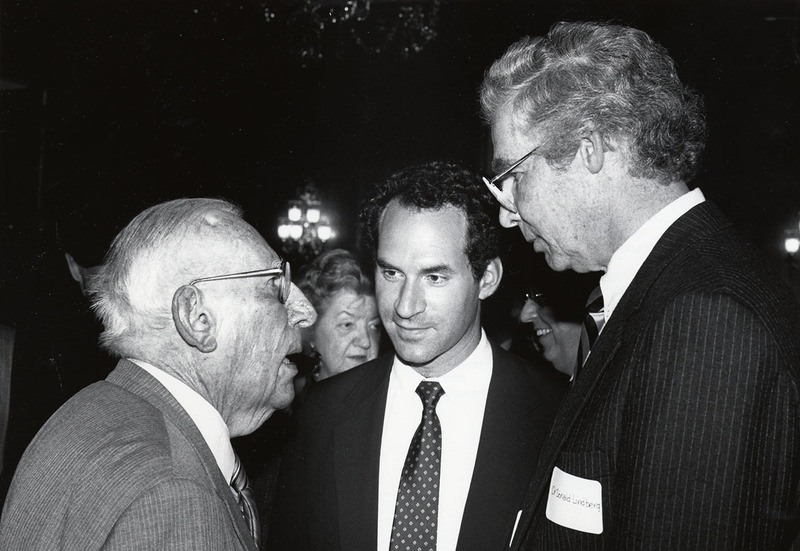 David Lipman and Donald Lindberg. Pepper helped establish NCBI in 1988.